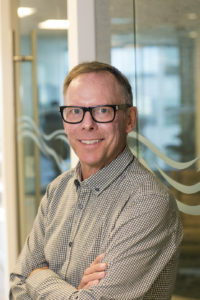 Jeff Fallowfield is responsible for leading the company’s business development initiatives, as well as the national sales and training departments. With over 30 years of experience in ﬁnancial services and 19 years in the automotive sector, Jeff is an expert on upcoming trends and disruptions that are transforming the industry. Jeff is a Chartered Accountant by training and has a proven track record of leveraging the unique combination of ﬁnancial foundation and deep operational experience. Q: Can you tell us a little bit of the history of the F&I market in Canada and how it has evolved over the last several years? What is the current health of Canada’s auto ﬁnance market? A: When I entered the F&I business in the early 2000s, dealers were predominantly relying on fax machines to submit credit applications with very little use of technology. Adapting to change is never easy, and it took some time for the industry to transition to a more efﬁcient technology. Now in 2018, the game has changed again completely. Many consumers want to begin and complete their carbuying journey on the web – and the faster dealerships adopt a digital retailing strategy, the better off they’ll be. I’ve noticed more and more companies offering online credit approval services, and dealers need to offer the same seamless experience. The transition from the fax machine was one of the ﬁrst revolutionary steps in the industry, and look where we’re at today – we’re on the cusp of a car-buying (and ﬁnancing) revolution. The age of digital retailing is upon us, creating great efﬁciency opportunities for dealerships. To be successful in this era, understanding how to accommodate the digital consumer and streamline the car-buying experience is critical. We’re going to see more empowered, educated consumers expecting a seamless experience when they enter the dealership. Today’s consumers are breaking the mold of the traditional car-buying process, and dealerships need to be capable of functioning as a fulﬁllment centre over a sales-focused operation when necessary. I believe the current state of the industry is very healthy. Yes, vehicle sales are off a bit year-over-year, but keep in mind that they’re down off record highs. Success is certainly achievable if you’re able to change your market approach to match consumer expectations. From a ﬁnancing perspective, the market is saturated with providers, especially in the non-prime space. This beneﬁts the consumer as they have many opportunities to get the best deal – for them, convenience is king. That’s why they’re sourcing their vehicle online, and looking to ﬁnance their purchase in the same manner. As we all know, more and more Canadians are taking on a lot of debt – after their mortgage, a big chunk of that debt is their vehicle payment, which creates pressure to ﬁnd an affordable vehicle and suitable ﬁnancing option. This is where choice can be very beneficial. Q: Canadian debt levels continue to increase. What have these debt levels meant for the F&I market in Canada and for auto loans and ﬁnancing in general? A: These debt levels certainly have the potential to constrict vehicle sales, and therefore, loans in the future. We can already see the effects of these debt levels through an increase in negative equity among Canadians. Loans are extended as much as possible, as we’re generally seeing ﬁnancing terms of seven to eight years and it’s a cause for concern. Because of negative equity, consumers are keeping their cars longer despite some wanting to change up their vehicle. If loans extend any further, it could amplify the debt level problem in our country and consumers’ negative equity could persist for longer periods. Zero per cent ﬁnancing has been very powerful, and has enabled consumers to stretch themselves when purchasing a vehicle. However, the minute you’re looking at three or four per cent ﬁnancing, there is a signiﬁcant impact on monthly payments which could affect overall vehicle sales. There is an opportunity to offer more economical options by removing some of the bells and whistles on vehicles. For example, a cost-sensitive consumer may question the necessity of a navigation system when an integrated GPS is available through smartphone technology. By simplifying the vehicle, the average selling cost would decline and dealers could still get a debt-loaded consumer into a fantastic, more affordable vehicle. Let’s be honest, I think we’re all capable of closing the rear hatch ourselves. We don’t need a button to do it for us – we can do it. I know we can. Q: With debt loads increasing and interest rates increasing, what are the tools and solutions that dealers are looking for from a company like yours to provide them to meet these challenges and provide the best solution to a dealer’s vehicle customer and their debt load? A: As a Canadian F&I company in the automotive industry, I believe it’s our responsibility to provide consumers with adequate resources to support them in managing their debt. To achieve this, designing ﬂexible products with true value that meet the needs of the debt-loaded consumer is very important. Ancillary products are not “one size ﬁts all,” and a personalized approach when dealing with debt is valuable to consumers. We’re in the business of providing peace of mind, and we’ll continue to focus on product innovation that removes consumer risk. Pre-paid maintenance and mechanical breakdown products decrease the risk of an unexpected expenditure, which helps the consumer manage their monthly cash ﬂow. Another valuable solution to customer debt load are products like Loan Protection or a Vehicle Loss Privilege Program – which can cover the negative equity portion of a loan in case a customer experiences an unexpected life event and is unable to make their payments. Additionally, dealerships value training that puts their employees in a strong position to understand consumer needs, and offer valuable, personalized products. Not only does this protect their customers, but it can also increase their Customer Service Index (CSI) score and customer loyalty. It’s important to anticipate new trends through the lens of the consumer. With debt levels rising, there will continue to be a strong demand for used vehicles, making Certiﬁed Pre-Owned vehicles a great opportunity to provide customers with a reliable and affordable option. As a result, dealers are looking for products that are relevant to used vehicles. In today’s digital age, we need to make sure that sufﬁcient information around protection products is available to consumers. Consumers need to be able to make educated decisions around which protection products are right for them, and how they can manage their debt-load while protecting themselves and their investment. The ultimate experience for the consumer would be walking into the Financial Services Ofﬁce (FSO), feeling empowered and knowledgeable about what ﬁts their needs. In order to achieve this, there needs to be collaboration, innovation, and creativity among stakeholders to support dealerships in meeting the needs of the evolving consumer. Q: We have seen for a few years now long-term ﬁnancing for vehicles, in some cases up to seven years or more. Is that trend going to continue, and what are the negative implications of having such long-term ﬁnancing deals? What may be the advantages to a customer? A: Long-term ﬁnancing has been around for a long time. I don’t believe this trend is going anywhere, but I also don’t believe it’s possible to extend loans any further. That being said, no lender wants to be the ﬁrst to limit the length of loans – they need to remain competitive relative to others in the market, as it’s still a monthly payment business. With no advantage to making the ﬁrst move, it will be a challenge to reduce the negative implications of long-term loans. The obvious negative effects of long-term ﬁnancing is that the consumer starts in a precarious negative equity position that gets worse at the beginning of the loan term. With a longer-term loan, this exposure lasts far into the term and puts the consumer more at risk of a life event. This is why negative equity coverage products are so important. Things happen and it’s good to know that some relief is available. The extended negative equity forces the consumer to keep their vehicle for a longer period, which has negative implications for OEMS and dealers because there is less opportunity to sell the underwater consumer their next vehicle. The positive side is that a longer term means a lower payment, which enables more consumers to purchase a vehicle –and sometimes a nicer one at that. There are advantages in the right situation but without a proper balance, consumers can be stretched too thin. When you combine negative equity with rising interest rates, more consumers are likely to keep their car for longer. If the Financial Services Manager (FSM) knows the customer will be in their car for seven years, they should likely suggest an extended warranty for the two or three years that the vehicle will be past the factory warranty. This could provide peace of mind, especially for those with a debt-load. The important things is to know your customer and offer personalized, meaningful coverage. Q: Training is an important part now for dealerships and their F&I teams. What kinds of training and support do dealerships teams need? A: Training is critical for a number of reasons. Consumers are becoming more educated on the products sold in the FSO, which requires a change in strategy around how the dealership can best support these customers. As we continue down the road of the digital retail sale, training has become even more important as dealership employees need to understand how to accommodate these evolving customer needs. This exciting new consumer is changing the game, and as more customers enter the dealership at different stages of their car-buying journey, it’s important that FSMs and sales staff are equipped to provide a seamless transition from online to ofﬂine. Regardless of the type of customer, a consultative training approach is extremely beneﬁcial to FSMs, as it focuses on listening and identifying customer needs and offering personalized products that provide true value to the consumer. There are many tools available to support the FSM and consumer with a personalized and tailored FSO experience. Training is also important for overall CSI and dealer performance. There are many beneﬁts to receiving coaching on dealership proﬁtability to explore how F&I inﬂuences the CSI score. Dealerships should explore training that encompasses collaboration, understanding customer needs and creating a partnership with the customer to create more opportunity for retention and satisfaction. Additionally, a simple introductory course is necessary to accommodate the high turnover in the FSO, and personalized, one-on-one training is undoubtedly beneﬁcial. With the increase in used vehicle sales expected to rise, CPO training is also increasingly important. Q: Recently, Mitsubishi Motors Canada has announced the launch of an improved Diamond Care Loan Protection product. What is that product and are we going to see more F&I companies similar to yours looking to work with vehicle makers to create custom products? A: Mitsubishi Diamond Care Loan Protection is an excellent product, designed to meet the needs of a broad spectrum of consumers. It features two plans, Essential and Carefree, to provide true value to consumers with varying needs. Essential is a competitively priced basket of coverages for those customers who want coverage in many situations. Carefree on the other hand is more speciﬁc to individual life events and provides comprehensive coverage. The product was designed with both the customer and dealership in mind, as it provides the customer with affordable protection and a simpliﬁed selling process for the dealership. Diamond Care Loan Protection also appeals to the sub-prime consumer by providing a range of coverage options so customers can work with the FSM to ﬁnd just the right amount of protection within their budget. As for others working with OEMs, we certainly hope so. We believe that when an OEM lends their brand to an F&I product, it is good for consumers, dealers, and the industry in general. Let’s face it, F&I products don’t always have a great reputation with consumers, but when an OEM takes the time to select a high quality F&I partner, and they work together to build a great product with their customers in mind, well then that is a step in the right direction for our industry.